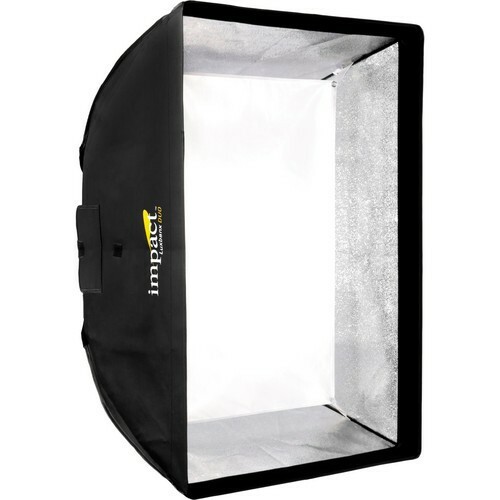 A powerful 54 x 72" light control tool for strobe, LED, and fluorescent lights, the Luxbanx Duo Rectangular Extra Large Softbox from Impact can also be used with quartz lights of up to 2,000 watts due to its heat-resistant textured silver interior. A front diffuser and an inner baffle control the softness of the light output. The inner baffle should be removed when using quartz, or “hot”, lights. Open face lights can be used with the inner baffle, but only the flood setting, rather than the spot setting, should be used with Fresnel sources. 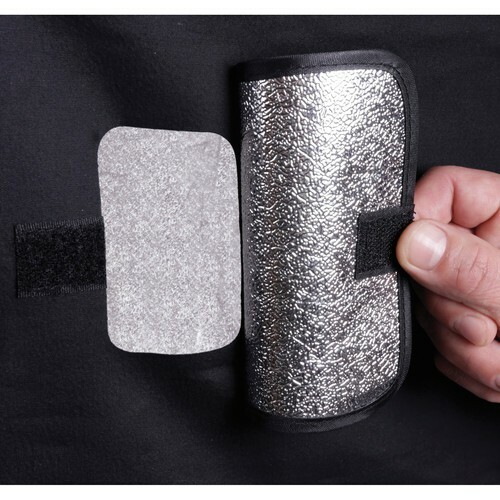 The softbox has four vents to dissipate heat. For maximum brightness and contrast, remove the front diffuser and inner baffle, which turns the Luxbanx Duo into a large reflector. An optional fabric grid is available which attaches to the front of the softbox using touch tabs, preventing spill light and adding directional control. The large front surface area and rectangular shape of the Luxbank Duo make it ideal for large sets, groups, full-length fashion, and large-product photography. Every Luxbanx comes with a carrying case and a spare Flex Rod. Separate purchase of the appropriate speed ring for your light is required for use. Impact makes speed rings that fit most popular brands. When using hot lights the inner baffle should be removed. This Luxbanx Duo is not recommended for use with high-intensity Fresnel lights. I mostly work with companies and schools in large group photos so I needed a softbox that was big and I would definitely recommend this ipmact model. One thing to take note, you need to buy a speed ring that matches whatever light you are using separately. I like this one much more than the older model. Big improvements by impact! 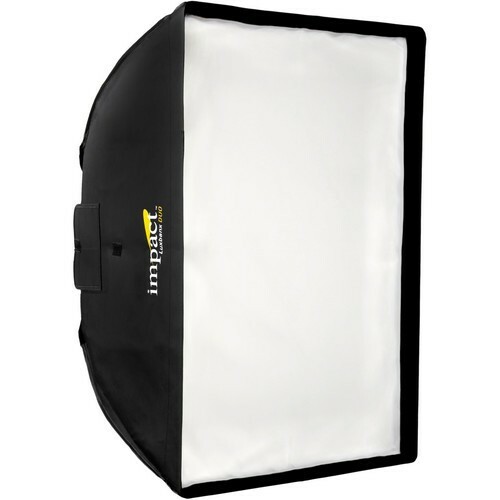 I use this mostly as a reflector and I love it. I have even received comments from my employee regarding the change in the balance and vibrancy of our lighting. The item shipped a day earlier than I was expecting and has so far caused me no trouble. I would recommend this to my colleagues. By Robert Depierre "Bob D"
Pros: NO need to worry about heat. these babies can handle pretty much anything. Easy to customize results, I need very soft lighting and with a few adjustments I have gotten great results. The materials are high quality. I work with two strobes and Quartz lights. Cons: The only thing I can really think of is that this is only okay for a large set. If you are in a small studio in your basement, go with a smaller softbox maybe 34' or something like that. I use this with some pretty hot lights but I have not had any trouble. Also, as a bonus, it comes with a carrying case so that was nice, I have learned not to always expect these kind of decent gestures from other companies. For the money this is a great choice. I have not regretted my purchase. You get what you ordered. 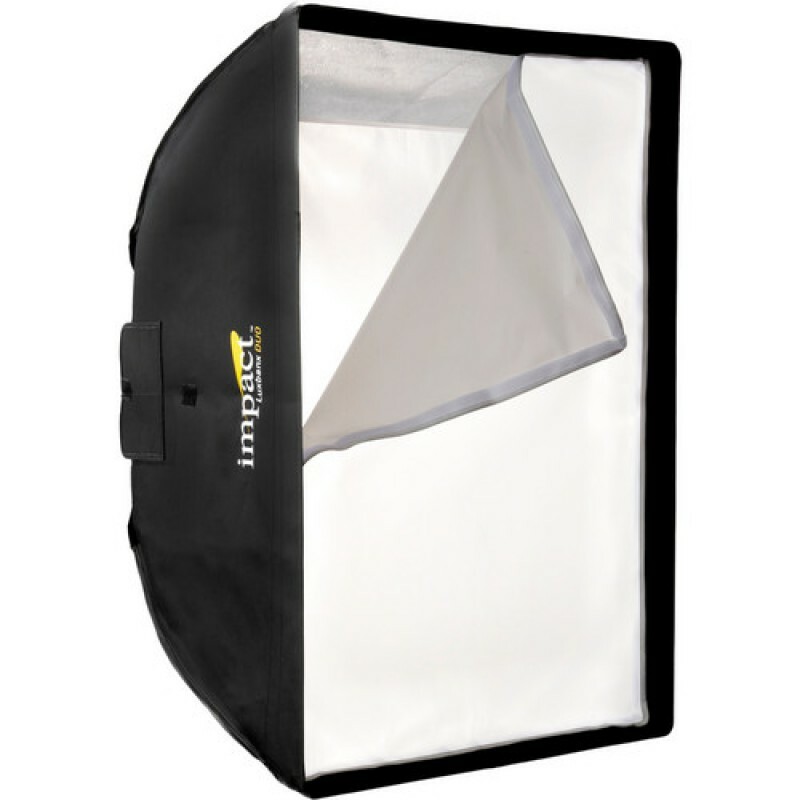 A decent softbox that works great with large shoots or in a large set. No surprises here. I am new to shooting in a large set and to this hobby as a whole so I used the chat feature on this website. If you are a rube like me I would definitely recommend it. The experts are just that, experts. and they helped me a lot. Even if it was just to point out simple things from the description, like the fact that it cannot be used with high intensity fresnel lights or the fact that I needed to get my own speed ring to fit my mount. Thank you Joseph from istockonline! Sorry about that tangent now about the item. This is a great softbox made from quality material and with lots of adjustable features. If you want to invest in great lighting equipment then this is for you.